Many so-called performance car manufacturers put out vehicles that are long on power but very short on adaptability. Unlike such vehicles, the BMW 6 Series of sports cars provide drivers and passengers with a number of systems designed to cater to their specific tastes and needs. One such system is called Dynamic Drive control. 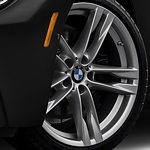 The Dynamic Drive system brings together several proprietary BMW stabilization systems and settings to provide both experienced and inexperienced drivers with enhanced control. Now, drivers can choose from sports suspension settings with the flick of a switch, and operators who are interested in conservation measures may appreciate the Eco Pro setting. In addition to these features, Dynamic Drive control is capable of adjusting vital functions like engine performance, steering reaction, gas pedal movement, and gearbox dynamics. The BMW 6 Series Drive Dynamic control system certainly makes a greater impression from behind the wheel. Here at our location in the Portland, OR region, we offer a number of BMW 6 Series sedans for test drives. To enjoy the dynamic control system for yourself, swing by our place today.